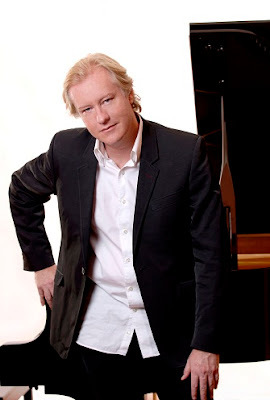 Christopher Duigan turns his hand to a light-hearted selection of popular piano classics in Songs My Mother Taught Me at Casa Mexicana, 35 Montgomery Road, Athlone, on August 11. With an emphasis on elegance, charm and grace, this selection of music evokes a bygone world of salon music and gatherings at the family piano. The programme features Beethoven’s Minuet in G, Brahms’s Waltz in A-flat, Dvorak's Humoresque, Rubenstein's Melody in F and The Maiden's Prayer. The popular evergreens, Parade of the Tin Soldier, Rustle of Spring and The Teddy Bear's Picnic bring this delightful selection to a jaunty close. Tickets R200 includes dinner from 18h30. Guests should bring their own drinks. For those wanting to attend the concert only, tickets are R120 including refreshments. The music will start at around 19h45. Booking is essential via email at booking@musicrevival.co.za or by sending a WhatsApp or SMS to 083 417 4473. Include your contact numbers in all email and telephone bookings. Secure parking is available.